2) How can engineers and other technical professionals help navigate the troubled waters that we are entering? The physical limits that we face as a result of the upcoming Age of Limits is a theme that we will keep coming back to. But there is another lesson that the Greeks give us and that is the diminishing returns to do with increasedcomplexity. And it is a lesson that engineers and technical professionals would do well to heed. 5. Decline is associated with increased simplification (which is generally involuntary). 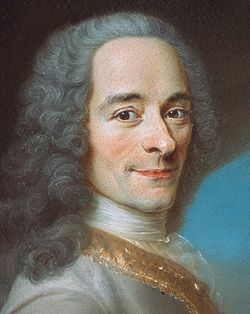 The above sub-title comes from Voltaire’s book Candide, a work that I have referred to in previous posts. His satirical writing can be seen as a work of optimism in spite of all the bad things that take place. Therefore, where possible, I will end these posts with a few words of optimism. (I started doing this in Denying Blackbeard — Part 2 andRenaissance Man and Climate Change.) In this post I offer the following thought.